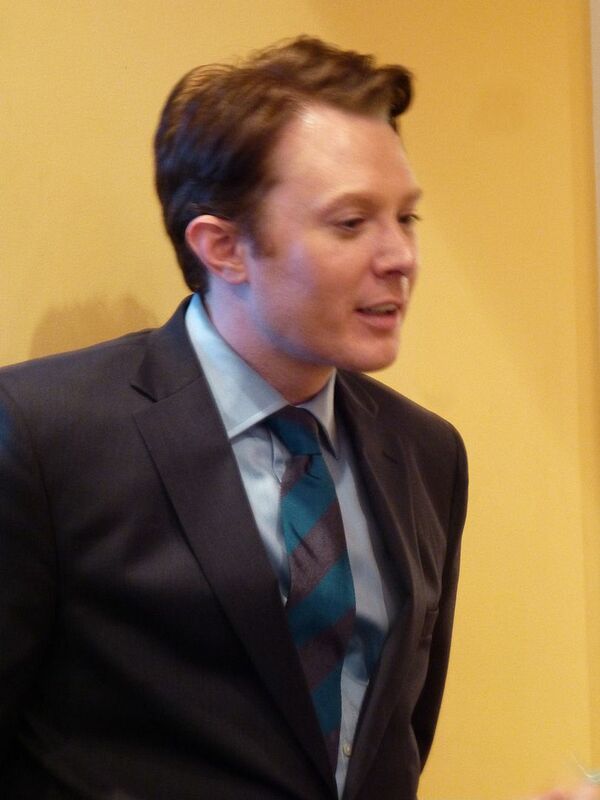 Clay Aiken spent Wednesday night at a casual reception and fundraiser co-hosted by Betsy & Gene Conti, John Jameson, and John I. Wilson. According to those in attendance, the crowd was made up of people of all ages. There were some excited young people from North Carolina who were learning more about politics and ready to support Clay and his ideas. There were a few local fans who wanted to hear more about Clay’s political ideas, and then some politically active democrats who asked questions and were genuinely interested in what Clay had to say. Throughout the evening, Clay tried to spend a few minutes with each person. He spoke to a few small groups but more often, he spoke to individuals. Most of the questions and answers were about North Carolina and his platform. Clay made a point to mention how important it is to work with those across the aisle. Clay left the reception and hurried to the airport to catch a plane home to North Carolina. From all reports, it was a full day for Clay as he was busy all day, meeting and chatting with important people in Washington D.C. I hope he was able to relax on the way home. Wednesday was a busy day…three different blogs here at CANN. I hope that you were able to read them and enjoyed learning about Clay’s visit to Washington D.C. If you didn’t see them, just keep reading, they are right below this blog! Hopefully, we will have more exciting things to post today. I hope you will check in! 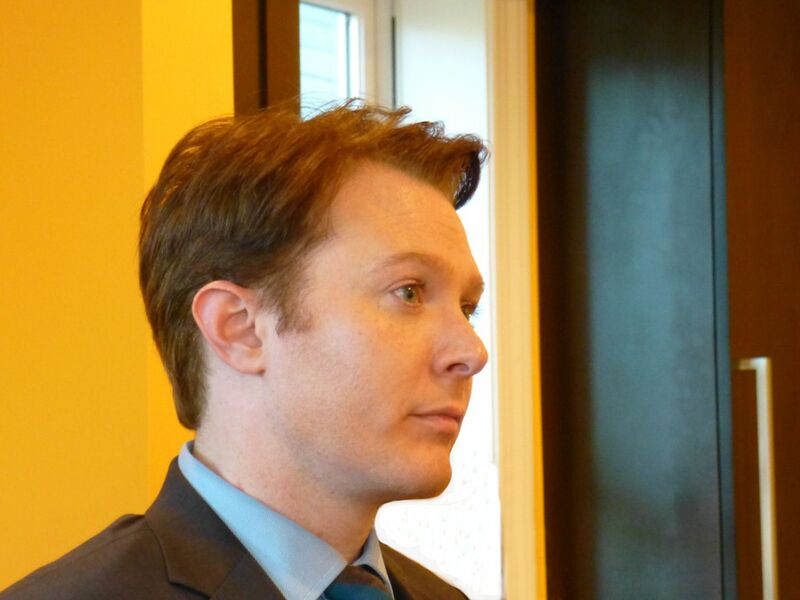 Tags : 2nd Congressional District in North Carolina., Betsy and Gene Conti, Clay Aiken, ClayForNC, John I Wilson, John Jameson, Washington D.C. It is fun to read about Clay's busy schedule. I did see the other blogs earlier on Wednesday. Thank you for posting them in the middle of the day. The pictures in this blog are so wonderful. Thank you, Hosaa for sharing the pictures and thank you to Musicfan for keeping us informed! It boggles my mind that Clay has so much stamina that he can go from early a.m. to late into the night and still be alert and look good, too! I agree!! I think this is the best picture so far. Sure did miss you. So glad you’re back. Need the Clay news. Error: Error validating access token: Session has expired on Tuesday, 21-Aug-18 16:13:01 PDT. The current time is Saturday, 20-Apr-19 02:26:37 PDT.